First of all, Erin and Andrea of Twelfth Year photography would love to congratulate you on finalizing your grade 12 year! Now it’s time to move on to special tomorrows, and bright futures! We had so much fun working with you guys over the year and hope that you all love your portraits as much as we do. 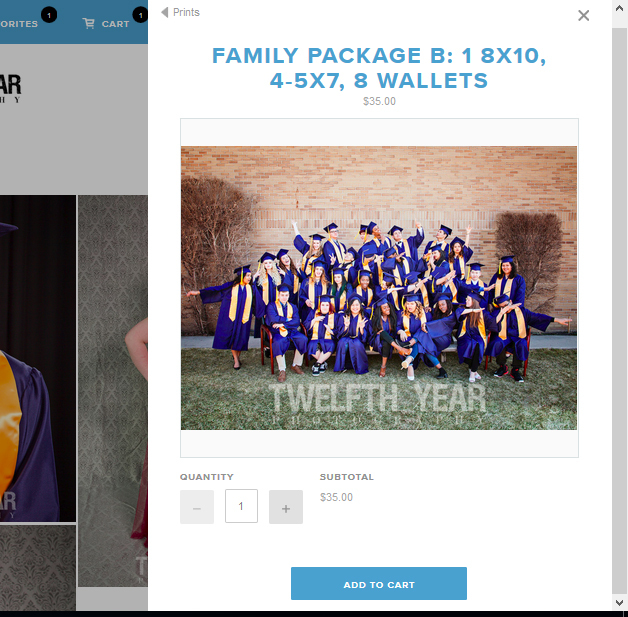 This is where you will all find all the details of how to order some of your formal images, as well as some of those cap and gowns if you didn’t already do so. INSTRUCTIONS: Please read these before emailing us with questions. Thanks! 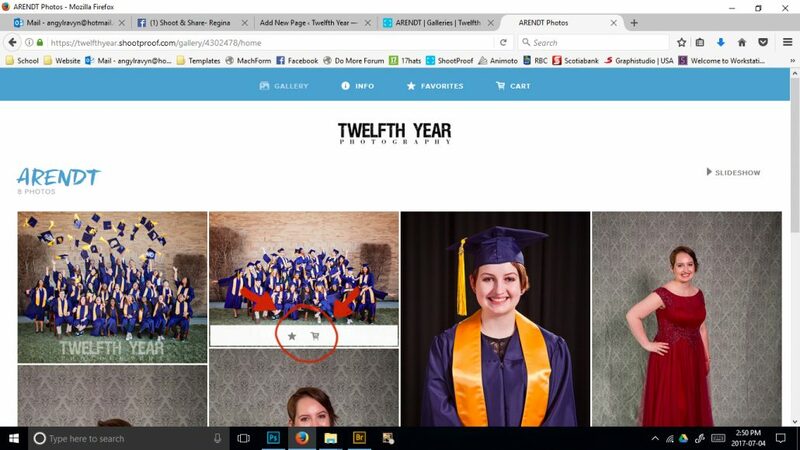 Please note that the formal dress grad photos have not been edited. But all ordered images will have a FULL retouch. each student has a gallery listed, find yours. Cart: this is where you can find all the items you want to purchase. If you hover over an image with your pointer, you will see a star and a shopping cart icon. If you want to favorite an image click the star, and you will be able to go back and choose images in your favorites folder. If you would like to order an image you click the cart icon. Once you click the Cart icon another menu will pop up. 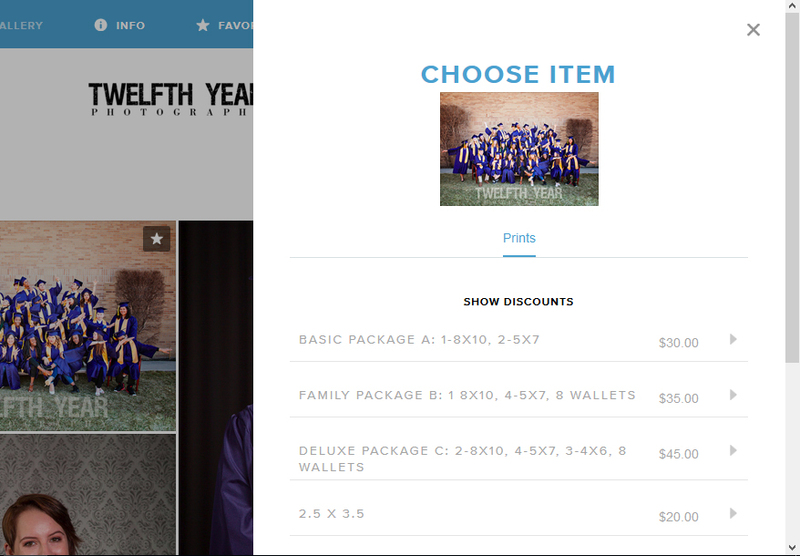 Here you can choose the package or individual print items you would like of that image. Click the package/item you want and the next screen will give a detailed run down of whats included. 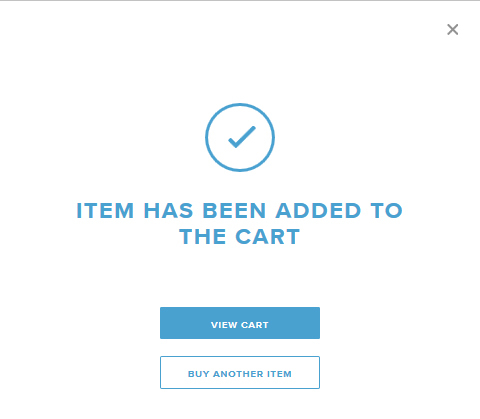 Once you have all the items in your cart choose View Cart. Here you can verify, or remove items if needed. Once you are ready to pay, click CHECKOUT in the top right corner. at Checkout, you can choose to have us ship the items to you ($30), OR Pick up at studio. Once we receive your prints, we will package them up and we will contact you with pickup times available, as our studio is by appointment ONLY. Please note, you do NOT need PayPal account to place your order. We simply use PayPal as our processor for Credit Cards etc.